Get involved: Hodgson under pressure? Well, that's all from Sportsday for today and for the week. Enjoy your sport this weekend and we'll see you again on Monday from 8am. Britain's Samantha Murray is the new modern pentathlon world champion after winning the title in Warsaw, Poland. She becomes only the fourth British woman to win the title following Wendy Norman's gold in 1982, Steph Cook's tile in 2001 and Mhairi Spence's victory in 2012. Real to beat Chelsea and Spurs to Guarin? according to reports in Italy. Spurs were rumoured to have offered Roberto Soldado to Inter Milan as part of a swap deal for the 28-year-old Colombian midfielder. Real Madrid president Florentino Perez has defended the club's decision to sell Xabi Alonso and Angel Di Maria. Speaking at a press conference to announce that the La Liga club's income had risen by 10.9% in 2013-14 to €603.9m, Perez explained that allowing Alonso to join Bayern Munich and Di Maria to leave for Manchester United made sense. "Perhaps he [Di Maria] had financial demands... that were greater than what was able to be offered," he said, adding that he had a "very good relationship" with Alonso and the player's exit was "the best thing for him and the club". Fifa have confirmed that ethics investigator Michael Garcia has submitted his report into alleged corruption in the 2018 and 2022 World Cup bidding contests and has "reached conclusions concerning further action with respect to certain individuals". Qatar won the right to host the 2022 tournament and Russia the 2018 event.. The 350-page report, which was initially expected in July, will now be examined by Fifa ethics judge Joachim Eckert, who can impose sanctions. Spaniard Dani Navarro took a first Grand Tour stage victory in the Vuelta a Espana as compatriot Alberto Contador retained his overall lead. Navarro won the 188.7km 13th stage of from Belorado to Obregon after making a break on the climb to the finish line. Fellow Spaniard Daniel Moreno was second and Dutch rider Wilco Keldermann third. There was no change at the top of the general classification as the leaders came in five seconds back, meaning Contador stays 20 seconds ahead of Alejandro Valverde with Britain's Chris Froome fourth, 1min 20sec adrift. A player in the fifth tier of Austrian football is appealing a 70-game ban received for butting a referee, claiming that he merely slipped rather than intentionally crashing his forehead into the official's face. Ismail Gunduz is quoted as saying his punishment was "madness" and that it was a big "misunderstanding" that left the referee with a split lip and blood pouring from his face. Gunduz had just been shown a second yellow card in the 86th-minute of a recent Landesliga West contest against SPLG Innsbruck. The 26-year-old midfielder has since been banned and sacked by his club, who have been fined €257 by their local FA. revealed he would be interested in becoming the new manager of Ross County. Malpas, who was assistant to Terry Butcher at Hibs before the pair were sacked in June, also spent five years as the Englishman's number two at Inverness Caledonian Thistle. "I'm out of a job and I want to work again. If that [Ross County] job came up I'd be interested," Malpas told BBC Scotland. Northampton Saints start the defence of their Premiership title when they host Gloucester this evening. Live commentary of the match, which kicks-off at 19:45 BST, will be on the BBC Sport website. In 1931, Celtic's 22-year-old goalkeeper John Thomson died after colliding with Rangers' Sam English during an Old Firm match. Bayern Munich's Jerome Boateng will return to Germany's XI for their Euro 2016 qualification opener against Scotland on Sunday. The centre-back missed Wednesday's 4-2 friendly home defeat by Argentina with a knee injury. "Jerome doesn't feel any more pain and will no doubt return," said Germany's goalkeeping coach Andreas Kopke. "We expect him to be in the starting line-up." The 'world's greatest half marathon' is nearly upon us. Don't miss the Great North Run on Sunday, 09:30 BST on BBC One. Celebrities such as BBC Radio 1 DJ Greg James and Olympic rower James Cracknell will be taking part, but we want to know if you'll be joining them? on the BBC Sport Facebook page or by tweeting using #BBCGNR. Aaron Hughes and Chris Brunt are cautiously optimistic that Northern Ireland can emerge from a "wide open" Euro 2016 qualification group. Michael O'Neill's side begin Group F against Hungary on Sunday and also face Greece, Romania, Finland and the Faroe Islands, with the play-off on offer for the third-placed side in their sights. "I think we can do it, but all the other teams will be saying the exact same thing," said Hughes. Brunt added: "It's going to be tough but with the extra teams going through it's the best chance we've had for a long time." Jenson Button has described himself as "massively relaxed" about next season after suggestions that he might retire. The 34-year-old McLaren driver appeared to acknowledge the possibility of quitting in a recent interview but, speaking ahead of the Italian Grand Prix, he laughed off the speculation. He said: "Initially it's annoying, but then you're like 'You know what, I've been here before, been in this situation before, heard it before'." Bad news for Newcastle. New signing Siem de Jong, who suffered a thigh injury in training earlier this week, is likely to be out "for a number of months", according to the Premier League club. joined from Dutch champions Ajax in the summer, will be undergo further assessment next week. What do you do when you hear good news? Manchester City's John Guidetti dances. The Swedish striker was in a coffee shop on Thursday afternoon when he heard that Fifa had ratified his loan move to Celtic and reacted by doing a little jig. "I was actually dancing because I was so happy," the 22-year-old said. Interested in ice hockey? Well, BBC Radio Nottingham will have live radio coverage of Nottingham Panthers' Champions League encounter against Lukko of Finland this afternoon. The group game, in Rauma, faces off at 16.30 BST. It's the Diamond League tonight in Brussels (19:00 BST, BBC Three) and we're asking you to get involved. What have been your favourite moments of the athletics year so far? BBC Sport Facebook page or by tweeting using #bbcathletics and we will read out the best comments later in the programme. Northern Ireland are showing "more potential" ahead of their Euro 2016 campaign than they did two years ago, says boss Michael O'Neill. O'Neill's side, who won just once in 2014 World Cup qualification, begin their attempts to reach France with Sunday's trip to Hungary. "I don't know if we're a stronger squad than we were two years ago but I think we're a squad with more potential," he says. The Pro 12 also begins this evening for clubs in Scotland, Ireland, Wales and Italy. Irish powerhouses Munster welcome Edinburgh and Italy's Treviso travel to Wales to face Ospreys. Wales have taken a look at the prospects for their teams. Good luck to all those young athletes competing in the @YouthSportTrust @_SchoolGames which started today in Manchester, a brilliant event. "He's got great enthusiasm and quality on the ball. Not many people give him credit for his technical ability. I'm sure there were a few clubs that wanted his signature - not many players at his age that go from one big club to another." "Even before he was captain, he was always someone I looked up to. He is a leader, a big person in the team and he's not scared to tell you when you're doing wrong, or doing right. "He's the standout choice for me to lead this young team. He's vocal and puts his arm round us youngsters." "I just saw him walk off - I've had my fair few injuries. I'm not a specialist in that department - not yet. Let's hope he's fine." "I thought he was very lively. A lot of our good attacking play went through him," he said. 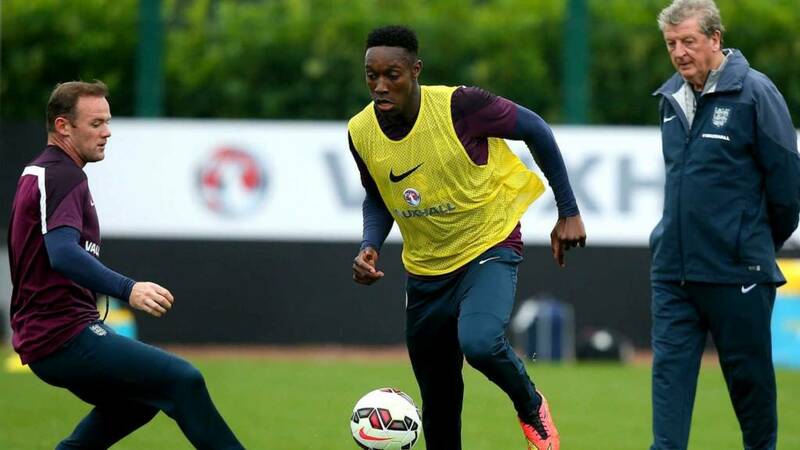 "Has he got the potential to become a world-class player for England? Of course. He has shown in the early days of his career that he can be if he continues to progress." Marco Reus expects Scotland to provide tough opposition for World Cup winners Germany when the sides meet in their opening Euro 2016 qualifier on Sunday. Gordon Strachan's side go into the match having won four and drawn two of their last six internationals. "They have not lost for six straight games and they are a strong team with a fighting spirit," says the Borussia Dortmund midfielder. "It is one of hardest games for us. They will be confident but it is a great opportunity to bounce back from a disappointing summer." "Turning around our fortunes is not going to happen overnight - everyone knows and expects that. This group of young players we have got is the one we have got moving forward for the next couple of years. Everyone needs to be patient." "I saw him go for the scan but I know nothing about that yet. We have our fingers crossed because he's a key player for club and country. He has been fantastic of late and he's a big player." "We won first and foremost. We dominated possession and the game. Of course we can do better. There were players who hadn't played before. We kept clean sheet. There are things we can work on in training." "I'm proud to play for England full stop. It's an amazing, proud moment to wear the armband." England defender Gary Cahill, who missed training earlier with an ankle injury, is confident that he will be fit enough to face Switzerland on Monday. "I'm hoping to train tomorrow and if I train then I'll be fit for the game," says the Chelsea man. "I've got a bit of fluid on my ankle and the physios thought it would be better not to train today." Of course, it is not the first time that the English newspapers have gone after the Three Lions manager. Although Hodgson has not suffered the ignominy of being depicted as a vegetable on the front page of a tabloid. Yet. poor Graham Taylor following England's surprise Euro 92 defeat by Sweden. Shaun H, Co Durham. I disagree with Beckham on the Rooney front. Rooney's time has been and gone and is quite uninspiring on the pitch for both club and country. I'm not sure why he still makes the team. Other more suitable candidates for the captaincy will present themselves well ahead of the Euros. In today's #QSTeaser from @QuestionofSport we asked you to name the eight Formula 1 drivers with surnames ending in a vowel who have won the Italian GP at Monza since 1970. The answers are Alonso, Andretti, Barrichello, Fittipaldi, Lauda, Montoya, Regazzoni and Senna. The BBC Sportsday team got three of them correct. A poor show. How have Wasps fared in the transfer market? "The arrival of Sale's James Gaskell could see a formidable second-row partnership built with Joe Launchbury. Keep an eye out for Scotland's Ruaridh Jackson pushing Andy Goode at fly-half, along with Hurricanes Super 15 import Alapati Leiua causing chaos across the backline." What are their hopes and ambitions for the new season? "If they pick up this season where they left off the last - doing the double over Stade Francais to secure the last European Rugby Champions Cup spot - this maturing team will cause problems for others in all competitions." a club-record £10m move to Hull City, the Uruguyan ends it by netting in his nation's 2-0 win against Japan. Hernandez, who added to an earlier goal from Paris St-Germain striker Edinson Cavani, helped Uruguay spoil Javier Aguirre's debut as Japan coach. Martin McHugh: Ridiculous to blame Hodgson. Grasping for straws. He works with what the disastrous (for England) Premier League has to offer. Elliott Edwards: Lovely. The media trying to start a fuss over the England Manager over something trivial. Where have we heard this before? Alex Glen: The coach and the players thought we played well against Norway, that is reason enough to lose hope of any progression. Great Britain's Olympic silver medallist Samantha Murray has set a new modern pentathlon world record of two minutes 3.84 seconds at the World Championships in Warsaw, Poland. Murray, who was part of the three-strong GB women's squad that won team gold at the event last year, struggled in the opening fencing round this morning. She won 18 and lost 16 of her contests to rank 15th after the opening phase. Her performance in the pool has moved her to second on the leaderboard ahead of the show jumping and combined (running and shooting) events. We want to know whether you think it is right that the focus is switching on to England boss Roy Hodgson rather than his players after the uninspiring 1-0 win against Norway. Shaun, Chesterfield: Well done Roy Hodgson. It's been a long time coming for a manager to stand up and not accept all the poor criticism. Some so called fans should be ashamed of all the constant negativity. England's young players will look up to new captain Wayne Rooney, insists David Beckham. The Manchester United forward wore the armband in the 1-0 friendly win over Norway after replacing Steven Gerrard as the permanent captain. "Young players will look up to Wayne for inspiration," says 39-year-old Beckham, who captained England on 59 occasions. Liverpool striker Daniel Sturridge has been sent for a scan after sustaining an injury during England training earlier today. Eddie Hearn tweets: "Here with the champ - he is stable in hospital - we will issue a full statement later today." after being stabbed in the leg while on holiday. Joe Root has compiled a second one-day international century and England have posted a competitive 294-7 in the fifth ODI against India at Headingley. Follow BBC Sport's live text and Test Match Special's commentary of the final match of the one-day series. in a combative mood earlier this week, we are about to find out how two of his players are feeling ahead of Monday's trip to Switzerland. Midfielder Jack Wilshere and defender Gary Cahill, who sat out of training earlier with a minor ankle knock, will be facing the cameras in about 40 minutes' time. Stay tuned to Sportsday for all the key quotes from the pair. standing down from his performance director role in April, Sir Dave Brailsford will lead Great Britain in the Road World Championships in Spain later this month. With British Cycling's technical director Shane Sutton not travelling to Ponferrada, opting instead to concentrate on British and European track championships, he has asked the Team Sky principal to step in. Sutton said: "It made sense for me as obviously the road is his focus and full-time role." Rob Harley will make his 100th appearance for Glasgow Warriors in Saturday's Pro12 opener, a repeat of last season's final against defending champions Leinster at Scotstoun. The Scotland flanker played in every league game last season. Warriors head coach Gregor Townsend said: "He's been ever-consistent for us over the last few years and thoroughly deserves to join our group of centurions." this adrenalin-flowing piece from BBC Sport's Ben Dirs. Belfast's Frampton and mentor Barry McGuigan talk trouble, unity and boxing ahead of Saturday's world title shot. BBC Sport's Mike Costello at The Ulster Hall: "Ahead of his IBF super-bantamweight world title fight in Belfast, Carl Frampton has weighed in at eight stone nine pounds and seven ounces. That's five ounces heavier than the champion Kiko Martinez. Both weighed in comfortably under the eight stone 10 limit." How have Sarries fared in the transfer market? "Last year's runners-up have bid farewell to some big players, such as Steve Borthwick and Matt Stevens, and will hope Scotland international Jim Hamilton and Argentina's Juan Figallo can step into the breach." What are their hopes and ambitions for the new season? "Saracens enter every tournament with the ambition to win it, as demonstrated by their final appearances in both the Premiership and Heineken Cup last season. It would be a huge shock if they are not in the mix for both competitions again come May next year." Ben, Stoke: The common denominator of the last 10 years worth of failures has been the players. I struggle to believe that all of the managers we've had have been bad and the players have been held back. No one can make them world beaters, they're not good enough. Could Magnus Lund prove an inspired signing?Image caption: Could Magnus Lund prove an inspired signing? How have Sale fared in the transfer market? "Nathan Hines, Luke McLean and Alberto de Marchi have joined, Chris Cusiter is a more-than-able replacement for Dwayne Peel at scrum-half and Magnus Lund could be one of the league's most inspired signings." What are their hopes and ambitions for the new season? "Sale will be looking to push on from their top-half finish last season and have ambitions of getting into the top four, which they had a sniff at in the closing months of the last campaign." West Brom goalkeeper Ben Foster is expected to be fit early next week after pulling out of England's friendly against Norway with a thumb injury. "He's had a little bit of a problem with his thumb during pre-season but nothing we haven't been able to manage," West Brom manager Alan Irvine. "We are hoping that when he's assessed again on Monday he will be fine. We don't believe it's a major injury or a big problem." has had surgery to relieve pain in both of his Achilles tendons. Lowestoft's 25-year-old middleweight, who won bronze at London 2012, has been plagued with chronic Achilles pain since the 2010 Commonwealth Games. "I don't know how much of me has been on display in the last four years of me competing," he said on his blog. The Diamond League comes to a close later as Brussels hosts the second of the two finals of the 2014 series. The Diamond Race champions for eight of the 16 disciplines are already decided, but among those prizes still to be decided is the women's 200m. American Allyson Felix is up against Nigeria's Blessing Okagbare in the one of the most eye-catching races of the event - which will be shown live on BBC Three from 19:00 BST. to our preview page for a sneaky peek at what's coming up. early clubhouse lead at the halfway stage of the Omega European Masters in Switzerland. In 2004, Newcastle appointed Graeme Souness as manager. Alex, Southampton: Re Mikey. Gary Monk? He hasn't even managed for one season! Roy is a great manager: not his fault players look impotent for England - all due to the players efforts and weak opposition in qualifiers. Frank Lampard says he would have stayed at Chelsea if he had been offered a new contract by the Premier League club. Instead, the 36-year-old midfielder could line up against the Blues for new club Manchester City later this month. tells the Sun. "If Chelsea had given me a contract new contract, it would have been mad not to take it at the time." How have Saints fared in the transfer market? "Fly-half Joel Hodgson is one of champions Saints' two signings this summer - the other being back-row Jon Fisher - and director of rugby Jim Mallinder is looking at the former for the nine spot, but I cannot see that improving on Kahn Fotuali'i and Lee Dickson." What are their hopes and ambitions for the new season? "They came into last season as the nearly men but they managed to shake that title. Mallinder will not want that to be a one-off." Since 1970, which eight F1 drivers whose surnames end in a vowel have won the Italian GP at Monza? Answers to come later this afternoon. pretentiousmoi: Hodgson has always been an average manager so he's at the top of his game currently. Time for a change; Klinsmann gets my vote. Taneem: Hodgson is trying to dispute the facts surrounding England's dismal performances and morale with crankiness. That's just sad. Barry McBoyle: English people should stop complaining, try being Scottish. something the Scots have done before, as BBC Sport's Tom English explains. The Germans were the reigning world champions when Scotland travelled to face them in May 1957 but were swept aside 3-1 by a team captained by Tommy Docherty. How have the Falcons fared in the transfer market? "John Wells moves up to head the coaching staff and the squad has been bolstered by the addition of 10 players, including current Italian international Josh Furno and the Tuilagi brothers, Alex and Andy." What are their hopes and ambitions for the new season? "Newcastle's first season back in the Premiership was a success in as much as they did not finish bottom. Ambitions at Kingston Park will again be survival." Rob, Newbury: Hodgson was demonstrating that the specific criticism was nonsense. The media have a bully mentality and abuse their power. Mikey, London: Contrary to popular opinion, England have an abundance of creative talent (Rooney, Sterling, Sturridge, Barkley, Walcott, Ox etc...) but they all seem impotent under Roy. We need a modern, progressive coach to get the most out of these players - Garry Monk would be ideal. One player missing from England's training session was Gary Cahill. The Chelsea centre-half picked up an ankle injury against Norway, but is expected to be fit for Monday's Euro 2016 qualifier in Switzerland. The 28-year-old was seen applying an ice pack to the knock after he was replaced in the final 10 minutes against Norway on Friday. You might have to suspend your disbelief for this one... Nikola Zigic has confirmed that Arsene Wenger made an enquiry about bringing him to Arsenal during the transfer window. told the International Business Times UK: "Everything that you saw in the press was true. My agent was talking with Arsenal but they finally opted for another player. "We talked with them until the last few days of the market. I am very happy because Arsenal had me on their list." Gary Lineker tweets: "I've never understood why managers get angry about media criticism. It's part of the job. Deal with it and prove 'em wrong!" And Mark Chapman replies: "Equally I've never understood it why the media gets itself in a twist when a manager fights back!" Cardiff Blues have issued their latest bulletin on Wales international centre Owen Williams, who continues to make progress after suffering a serious spinal cord injury in June. The 22-year-old has been at the Welsh Spinal Injuries and Neurological Rehabilitation Unit since early July after being injured during the Blues' defeat by Asia Pacific Dragons in a World Club 10s play-off game in Singapore. A club statement reads: "Owen is now tolerating periods of time sitting up in a wheelchair, allowing him the chance to spend short periods of time outside the hospital. He is also starting to use the gym for early upper limb rehabilitation." Alan Carr ‏(Not The Chatty Man): Re Maggie. Redknapp isn't a good choice. He'd panic once he realises he can't call up Niko Kranjcar and Scott Parker is now a bit rubbish. How have London Welsh fared in the transfer market? "The Championship play-off winners have made 25 new signings. Yes, that's right, 25. Among them are New Zealand's former World Cup-winning scrum-half Piri Weepu and ex-England outside half Olly Barkley." What are their hopes and ambitions for the new season? "Having been relegated two seasons ago, London Welsh will be delighted with avoiding relegation this campaign, but publicly they are setting their sights a lot higher." Ludogorets Razgrad's home debut in the Champions League against Real Madrid will not be watched by a capacity crowd after Uefa ruled that a stadium section must closed because of fans' racist behaviour. The governing body's disciplinary panel imposed the sanction after incidents when the Bulgarian side beat Steaua Bucharest of Romania in the play-off round last week. Steaua were also punished and must play their Europa League tie with Aalborg of Denmark in an empty stadium after being charged for a season time this term. Maggie, Lowestoft: Harry Redknapp should have been appointed as England boss. It was the same with Brian Clough. Their faces did not fit for some reason and the teams and the country have suffered because of it. Everton are the latest Premier League big gun to urge their fans to do exactly that. The Goodison Park club are pointing Evertonians in the direction of local matches throughout the Merseyside region on Saturday, including the likes of Marine, Widnes, Vauxhall Motors and Runcorn Town. Thibaut Courtois' installation as Chelsea's first-choice goalkeeper has been burnished by the news that the Belgian is close to signing a new contract. The 22-year-old, who has spent three seasons on loan at Atletico Madrid but returned to depose Petr Cech, has two years remaining on the contract he signed when moving from Genk in July 2011. "It's not yet signed," Courtois told Sky Sports. "I am with the national team so it is difficult, but when I am back at Chelsea I will probably sign the new contract." How have London Irish fared in the transfer market? "International props in the form of Ireland's Tom Court (Ulster) and Scotland's Geoff Cross (Edinburgh) may prove to be their shrewdest signings. But the loss of England wing Marland Yarde to Harlequins is bound to hurt." What are their hopes and ambitions for the new season? "How much they improve compared to Exeter, Gloucester, Wasps and Sale is hard to predict, but hopes of Champions Cup qualification are not without foundation." England players are about to wander out into the St George's Park sunshine as they continue preparations for Monday's Euro 2016 qualifier in Switzerland. Boss Roy Hodgson will lead the way - on a day where he has been on the back pages of England's national newspapers for his spiky response to criticism (see 08:45 BST). Was Roy's rage a sign that he is feeling the pressure? Or is it an indication that the national newspapers are beginning to turn against him? And is that reflective of public opinion? You tell us. Tweet #bbcsportsday or text 81111. How have Tigers fared in the transfer market? "Out go Toby Flood (Toulouse) George Chuter (retired), Thomas Waldrom (Exeter), Dan Bowden (Auckland Blues) and Steve Mafi (Western Force). In come a selection of experienced internationals, including the latest recruit, All Blacks legend Brad Thorn." What are their hopes and ambitions for the new season? "After nine consecutive Premiership finals, the Tigers didn't make a single final last season. They are a top-four team and they would expect to qualify for the semi-finals again." England's cricketers have licked their wounds and returned to the battlefield for another tussle with the all-conquering Indians in the final match of the one-day series. Three-nil down with one to play, the maths do not make pretty reading, but with World Cup places up for grabs and Alastair Cook's one-day captaincy under huge scrutiny, there is plenty to play for in Leeds today. live text and Test Match Special commentary from Headingley. How have Quins fared in the transfer market? "Just two new faces arrive. England wing Marland Yarde made the short hop from London Irish, while Super 15 wing/centre Asaeli Tikoirotuma arrived from the Chiefs at the end of August." What are their hopes and ambitions for the new season? "The 2013-14 season was the first for three years without silverware for the London outfit, but another Premiership top-four finish and reaching the knockouts of Europe is well within the team's ability." With Coventry City's return to the Ricoh in mind, we have been asking for your favourite memories of sporting homecomings. finally having the Amex Stadium to call our proper home is amazing for Brighton. While several Stoke players are away during the international break with their countries, one man will be slogging away at a rather sparse training ground. Potters winger Oussama Assaidi, who rejoined the club on loan from Liverpool on transfer deadline day, will be pounding the turf as he aims to build his fitness ahead of next weekend's match against Leicester. The Moroccan international is short of full fitness after having a knee operation during the summer. "We're just easing him in - we'll see how he goes and how he copes with the training. He's not at the level that the other guys are at, but it won't be long until he's there,"
said Stoke boss Mark Hughes. Briton Lewis Hamilton finishes fastest in first practice for the Italian Grand Prix, followed by compatriot Jenson Button of McLaren and Mercedes team-mate Nico Rosberg. For reaction from Monza, follow our live text coverage. How have Gloucester fared in the transfer market? "Impressively, with high-profile signings in John Afoa, Richard Hibbard, Tom Palmer and Mariano Galarza boosting the front five. Greig Laidlaw and James Hook should add class and control at half-back." What are their hopes and ambitions for the new season? "They are playing catch-up having sacked Nigel Davies at the end of last season, and taken their time to bring in David Humphreys as director of rugby and Lawrie Fisher as head coach." Coventry City's return to the Ricoh in mind, we have been asking for your favourite memories of sporting homecomings. Ravi: Henry's comeback winning goal vs Leeds in the FA Cup and he celebrated like a fan would. Pure class. England midfielder Jordan Henderson says there is no limit to Liverpool team-mate Raheem Sterling's potential. "He has been outstanding since he's come into the England first team," says Henderson. "He was outstanding in both games at the World Cup. For a 19-year-old to play on the world stage like that... I thought he was magnificent. "He continues to do it every week for Liverpool and he got man of the match again against Norway. If he keeps working hard, he can really kick on." How have the Chiefs fared in the transfer market? "Scotland prop Moray Low has arrived from Glasgow, former England number Thomas Waldrom from Leicester and Namibian full-back Chysander Botha from South African Super 15 franchise the Lions." What are their hopes and ambitions for the new season? "Exeter are looking to improve on their eighth-place finish last season, and hope the fact they are not in the top tier of European rugby this season will enable them to concentrate on the Premiership." is in hospital in Tenerife after being stabbed in the leg while on holiday. Brook's trainer, Dominic Ingle, spoke to BBC Radio Sheffield this morning and explained that the fighter has had surgery and is "stable and on the mend". "After a fight you want to relax, switch off - you let your guard down and innocent situations can turn rapidly into something else if you're not careful. It seems somewhere along the line Kell Brook's let his guard down and this has happened," he said. Paul, via text: Sir Stanley Matthews returning to Stoke in 1961 and leading us back to the first division. A true legend. Former Scotland captain Colin Hendry says he is "hopeful" that Gordon Strachan's side can shock world champions Germany in their opening Euro 2016 qualifying tie in Dortmund on Sunday. "Most people in football realise that it is the hardest game that Scotland could encounter in their opening match," the ex-Blackburn and Rangers defender tells BBC Radio 5 live. "But we go there with steeliness because Gordon Strachan has introduced that and has done really well so far. People say most of the competitive games weren't played under pressure because we were already out of the World Cup. "So I suppose it's the first game where Gordon is under pressure to produce a result. But it doesn't come harder than Germany in Germany." How have Bath fared in the transfer market? "They have the arrival of the hugely-talented Sam Burgess to look forward to. The West Country club's marquee signing from rugby league will certainly make an impact and could add yet another significant dimension." What are their hopes and ambitions for the new season? "Missing out on a top-four Premiership place and losing the European Challenge Cup final has been Bath's motivation over the summer to make that next step." The Premiership season begins this evening when Northampton welcome Gloucester. And BBC Sport has teamed up with BBC local radio and experts for an at-a-glance guide to the campaign ahead. Saif Rahman: Could there be any greater return but that of the King, Thierry Henry. Back to his beloved Arsenal scores winner against Leeds. Chris Williams: Robbie Fowler rejoining Liverpool in January 2006. I was like a kid at Christmas. But it is not just the gaffers who have been rewarded for their fine opening months. These three Football League players now have a glitzy trophy sat on top of the mantelpiece. Football clubs don't win anything in August, they say. Apart from manager of the month prizes. And the three lucky men who have picked up the Football League gongs for an impressive start have been announced. "90 miles an hour," could be the chant at Durham's Riverside over the next few weeks - especially if new fast bowler Varun Aaron finds his groove. Australian forward Rhys Lovegrove signs for London Broncos following his departure from Hull KR. The 27-year-old was released from the final year of his contract on compassionate grounds and has moved closer to his family in the capital. "It is a great move on and off the field," said Lovegrove, who has signed a two-year contract. Bob, via text: Jurgen Klinsmann returning to Spurs for the 1997-98 season despite Alan Sugar saying he wouldn't use his shirt to wash his car. Klinsmann pretty much single-handedly prevented us being relegated. The 29-year-old reveals how he dealt with the fallout after his collision with team-mate Nico Rosberg at Spa and what he did to take his mind off the controversy. Michael Johnson: Stuart Pearce returning to Nottingham Forest in August. I am not a Forest fan but his reception sent shivers down my spine! As you were more than likely asleep in the wee small hours of the morning, how about we recap the action in the US Open tennis? Roger Federer saved two match points before beating Gael Monfils to keep alive his hopes of an 18th Grand Slam title. dismantled an out-of-sorts Tomas Berdych in straight sets - in Saturday's semi-finals. "I still thought the finish line was far away for Gael," said Federer on falling two sets behind. It's an early start at Monza today with the practice session ahead of the Italian Grand Prix, where Lewis Hamilton and Nico Rosberg resume their battle. live text and TV coverage with our F1 team. The Daily Star claims that Newcastle midfielder Rolando Aarons, 18, is a target for Manchester City and Liverpool after just 39 minutes of Premier League football. The Times reports that Manchester United manager Louis van Gaal has targeted Roma's Dutch international midfielder Kevin Strootman, 24, and Borussia Dortmund's Germany centre-back Mats Hummels, 25, as January signings. And Metro suggests that Liverpool will step up their interest in Stromsgodset's 15-year-old Norway under-21 international midfielder Martin Odegaard, who has also been linked with Manchester United. The Daily Mail is equally vehement about the England manager. It also reports that Victor Valdes, the former Barcelona goalkeeper, has agreed a move to Liverpool. Mr Nice Guy has already turned into Mr Angry, according to the Daily Telegraph. The Daily Express says Hodgson's angry response comes just as he has warned his players that there will be no more 'Mr Nice Guy' from him. Roy Hodgson's outburst has grabbed the headlines on the back pages of several national newspapers today - with the Daily Mirror's headline claiming the strain is beginning to show on the England coach. In case you missed this one yesterday... England boss Roy Hodgson has defended his angry response to criticism of the performance against Norway. Hodgson reacted furiously when told England only had two shots on target, including Wayne Rooney's penalty, in the 1-0 win at Wembley. Asked about his prickly demeanour, he said: "Listen, I am entitled to aren't I? When you have questions like 'you only had two shots on target... '"
The Super League season is still not done and dusted, but clubs are already making plans for next season. Unfortunately for Bradford, that will be in the Championship after their relegation from the top flight. But the Bulls are already preparing for life outside Super League by re-signing former Warrington utility player Matty Blythe. However, wingers Elliot Kear and Luke George will be leaving Odsal. So, with Coventry's return in mind, sporting homecomings are going to be our theme. We want to know your favourite memories of heroes waltzing back into town to great acclaim. It could be the glorious return of a team, player or manager. Tweet your homecoming memories to #bbcsportsday or text 81111. Come on (does best Delia Smith impression) let's be having you! Another match is taking place in the West Midlands tonight - and it is one Coventry fans have been dreaming of for a long time. The Sky Blues return home after 503 days away. The League One club had been forced to play their 'home' games in Northampton - a 68-mile round trip for long-suffering supporters - after a dispute between their owners and the stadium's owners. are returning to the Ricoh Arena. And tonight it is party time as the Sky Blues host Gillingham. Philip Neville: England Under 18s vs Holland U18s tonight at Bury FC - if you're free get down and watch - this is a very good age group! 19.30 KO. their career is over because of injury. Unfortunately, Lancashire fast bowler Kyle Hogg, 31, has been forced to retire from cricket because of a severe back injury. Hogg played an instrumental part in Lancashire's County Championship success in 2011 and was also named their player of the year last season. While Britain's elite jet off across the globe to play for their countries, and the ones not involved sit back with their feet up, those lower down the football pyramid are busily preparing themselves for the weekend. Now you see it, now you don't. Just as the glitz and the glamour of the Premier League thrust itself back into our lives, the English top flight has disappeared. As has the Championship. And the entire Scottish football programme. But don't worry - they will be back. In the meantime, to satisfy your football-induced cravings, we have got plenty of build-up to a festival of international action stretched across the weekend. Welcome to Friday's Sportsday.